Rectangle Ceramic Baking/Pizza Stone With Wire Frame Only $11.22 (reg $25)! You are here: Home / Great Deals / Amazon Deals / Rectangle Ceramic Baking/Pizza Stone With Wire Frame Only $11.22 (reg $25)! Pizza is a big deal in my house, so I’m always on the lookout for one of these at a good price – like now! 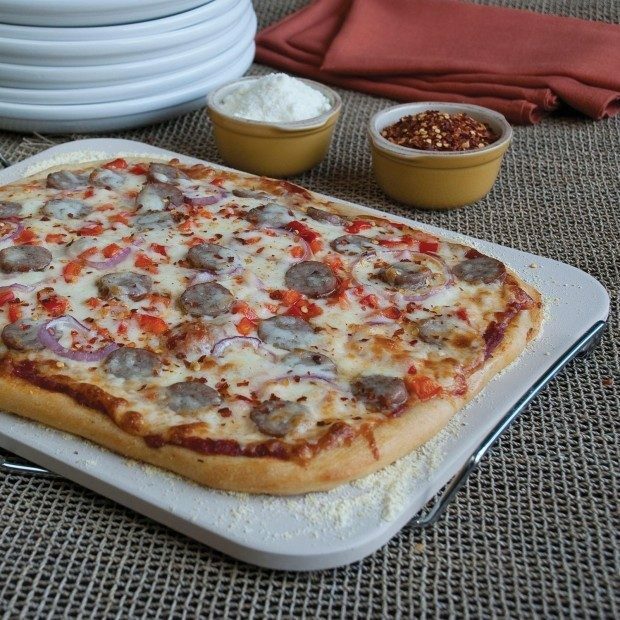 Order this Rectangle Ceramic Baking/Pizza Stone With Wire Frame for Only $11.22 (reg $25)!